We trust that health care professionals are practicing in a way that is safe, sound and secure. But what happens when that trust is compromised? Injuries suffered at the hands of medical practitioners often leave patients with more than physical trauma — the emotional and psychological trauma can be just as devastating. 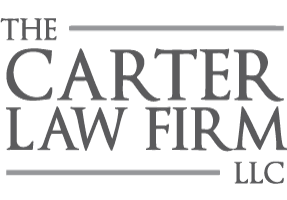 If you or someone you love has recently been injured due to medical negligence and/or misconduct, contact The Carter Law Firm, LLC immediately. We offer free initial consultations, can meet you wherever you are, and are available evenings and weekends by request. Under Alabama state law, the statute of limitations for filing a medical malpractice suit is broken down into two parts. First, anyone suffering a medical malpractice injury has two years from the date of the accident to file a claim. In cases where the victim could not have reasonably known she or he was injured (i.e. Alabama’s “discovery rule”), they may have an additional six months in which to file suit. When children the age of four are subjected to medical malpractice, her or his parents have until the child’s eighth birthday to file a claim. 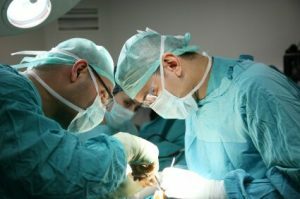 In some medical malpractice cases, a medical professional (or hospital) may claim that you are at least partially responsible for causing your own injuries. They may argue, for example, that you failed to follow their instructions. If an Alabama judge finds you partially liable, the amount of compensation you can receive will be greatly diminished. This is because the state of Alabama adheres to a “contributory negligence” principle. In other words, if you are found to be even slightly responsible — let’s say five percent — you will likely be barred from receiving any compensation whatsoever. Just because Alabama is one of the few states in America to employ the “contributory negligence” principle doesn’t mean you shouldn’t fight for your rights. Victims of medical malpractice deserve the same personalized legal counsel that any other personal injury victim receives. The Carter Law Firm, LLC is committed to receiving the best settlement possible for you and your family. The Carter Law Firm, LLC fights diligently to hold medical professionals accountable in cases of medical malpractice. We counsel victims of medical malpractice throughout Jefferson County, Blount County and the State of Alabama. Call (205) 808-0002 to schedule a free consultation to discuss your unique case.